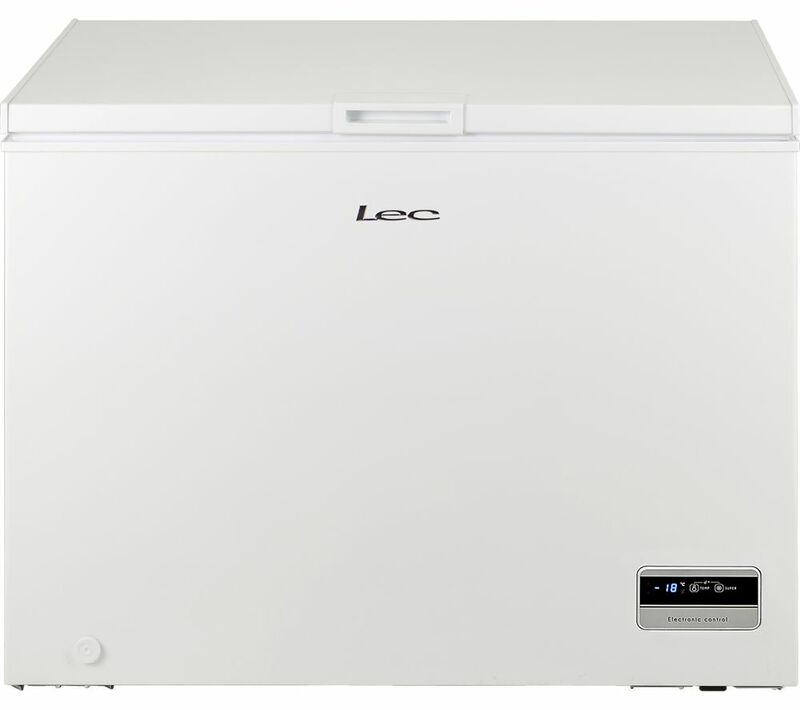 With a generous 300 litre capacity, this Lec CF300L Chest Freezer is ideal if you're looking for additional space. Tested to 15°C, it's suitable for outbuildings so there's no need to take up valuable space in your kitchen. 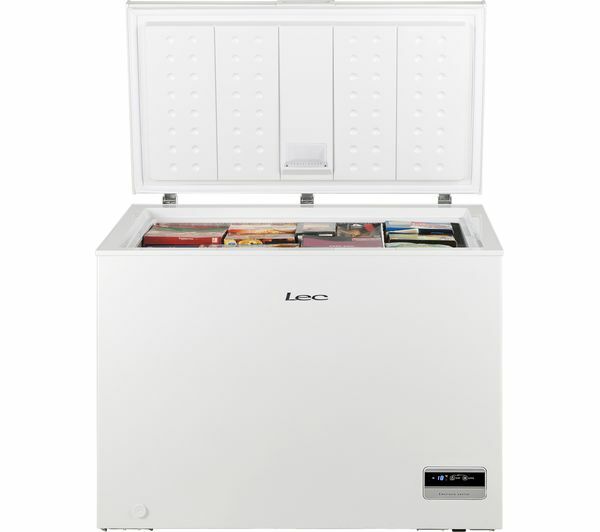 The simple and responsive electronic controls allow you to precisely adjust temperature to suit the contents of your freezer. The handy integrated LED light will illuminate whenever the chest door is open, so you can easily find your ingredients, even if the room is dark. Evolved from the traditional wire racking, the smartly designed moulded plastic basket is designed to store smaller items and eliminate rust from accumulating over time. Seems to do the job, and supposedly working at -18degrees,although it doesn't feel particulary cold inside. Unnecessarily bright light on control panel. Very hard to follow the instructions for changing temp, etc. Had to call out an engineer as I couldn't make any controls work, and he admitted it was very difficult to understand what to do. Controls easy, display bright and clear. Temperature display doesn't show actual freezer temperature, only what it is set too.